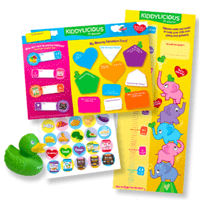 Join the Kiddylicious kiddy club for free and you will receive lots of free goodies including a free rubber duck for your little ones to play with. Follow our link and signup right away to get these giveaways. Click on “GET IT HERE” button and then follow instructions given above to signup to their newsletter.